Was the FDA too quick to approve a drug that is now showing DANGEROUS side effects through actual patient reports since the drug has been on the market? The FDA just issued a warning to patients and providers concerning a potential risk of leg and foot amputations associated with the use of the diabetes medication ‪#‎canagliflozin‬, also known as ‪INVOKANA‬ and ‪INVOKAMET‬. This drug belongs to a category of drugs used for TYPE 2 DIABETES know as SGLT2 Inhibitors (Sodium-Glucose Cotransporter-2). The drug was among several SGLT2 inhibitors to receive a label update in December 2015 after the FDA discovered that the class was linked to increased risks of ketoacidosis and urinary tract infections. This alert was based on results from an ongoing trial, which has found that patients treated with canagliflozin are more likely to require a leg or foot amputation. Toe amputation seemed particularly more likely among canagliflozin patients. Although the FDA acknowledged that further research is needed to determine whether the drug is responsible for this elevated risk, it has nevertheless encouraged patients to seek immediate medical attention if they experience symptoms such as pain or tenderness, sores or ulcers, or infections in their legs or feet. 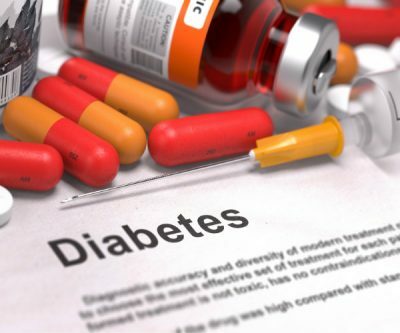 However, the agency added that patients should not stop or change their diabetes medicines without first consulting their prescriber, as doing so may lead to uncontrolled blood sugar levels, blindness, nerve and kidney damage, and heart disease. Any adverse events observed in patients who use canagliflozin should be to the FDA’s MedWatch Safety Information and Adverse Event Reporting Program. Is my prescription or over the counter medication ‪gluten-free‬? This is an excellent question that is often overlooked! The gluten content in our pills may be very small, but even the smallest amount could prove dangerous to the 1 in 133 Americans who suffer from Celiac Disease. In addition, depending how sensitive you are to gluten, another 18 million or more Americans have gluten sensitivities. gastrointestinal upset, headache, weight loss, osteoporosis, depression, and infertility. This has been shown to have adverse effects at even 30 mg to 50 mg of gluten (about the amount in a lip balm)! In 2013, Ohio State Representative Tim Ryan introduced a bill in that would require companies to disclose gluten as an ingredient in medication labels. It was reintroduced again by Rep. Ryan and New York Congressman Nita Lowey in 2015, but GovTrack.us stated that it had a 0% chance of being enacted!!! A 0% chance of being enacted, folks! Because the government does not mandate that pharmaceutical companies list gluten content on the medication label, it is left up to each individual to contact the manufacturer to find out if the product is SAFE for them. It gets more complicated as the ingredient list does not list “gluten” as the ingredient, but could instead list the content under ingredients like starch…. In fact, the FDA doesn’t require products to list gluten as an allergen if the protein is found in inactive ingredients like starches or starch derivatives, or if it’s transferred in the manufacturing process. 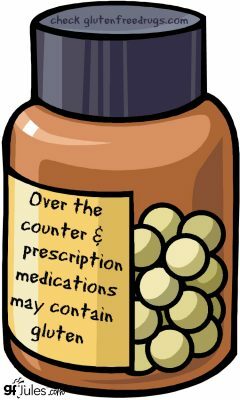 AND, the ingredients ARE NOT the same in name brand vs. generic products, therefore, you need to check on each and every pill you are on, regardless if the branded product does not contain gluten. For instance, Protonix name brand is gluten-free, however, the generic Pantoprazole manufactured by Teva is NOT gluten-free. You may need to call your health insurer to find out how to get access to a brand-name drug if the generic contains gluten. THIS is the face of PURE EVIL. Martin Shkreli is a former pharmaceutical executive who enraged the public when he raised the price of Daraprim, a life-saving drug, by 5,000%!!! Watch as he pleads the fifth amendment numerous times in response to questions from members of the House Oversight Committee in February before being ejected and escorted out of the hearing. Shkreli, formerly a hedge fund manager, was being investigated for fraud. Martin Shkreli hiked up the price of his company’s drug so high that the people who needed it the most, as a life-saving measure, could not afford this drug. Look at his face and see the lack of remorse and not an ounce of compassion as he was asked “WHY?” he did it. There is absolutely no doubt in my heart WHY I chose to leave the comforts of a pharma-supported paycheck to stand on my own two feet to find ways for my clients to teach their bodies “to heal from within”. There is a better way folks. I am a ‪pharmacist‬, and have little faith in the direction we are headed with ‪the greed and propaganda of some Big Pharma and the dismal future they are creating for our country‬. Can You Modify Your DNA to Improve Your Health? Are you searching for the key to Anti-Aging? If you are like most of the population, you are not excited about the aging process. What if you could find ways to intervene to modify the aging process and slow down the degeneration that would normally happen from day-to-day wear and tear? This topic I am referring to is NUTRIGENOMICS. Nutrigenomics is a cutting-edge very exciting field of medicine that looks at the modifiable factors we can practice to help enhance optimal body functioning and slow down the process of aging. Since this is a topic I am getting more and more excited about, I will be featuring more information, videos and blogs on this topic. Why? Because I am searching for the best ways to keep myself feeling young and vibrant, and as I learn these new techniques, I want to be able to share this with all of you! Today’s topic is Oxidative Stress. What is that??? Oxidative stress is like when an apple turns brown after you cut it in half and it is exposed to air, or oxygen. This is not a good thing. When we think of oxidative stress in your body, it is like rusting from within. Of course, when that happens, we see an accelerated process of aging, and all of the detrimental health effects that come with it. I am offering you a solution on this webinar! There is a way to counteract this process with proven nutrigenomic intervention and supplementation. For more information on how you can get started today, contact Dr. Lori at DrLori@HealYourselfBeautiful.com.